Certification for Firefighter I and II Testing by your State. Started this discussion. Last reply by Kevin Dippolito Dec 31, 2014. 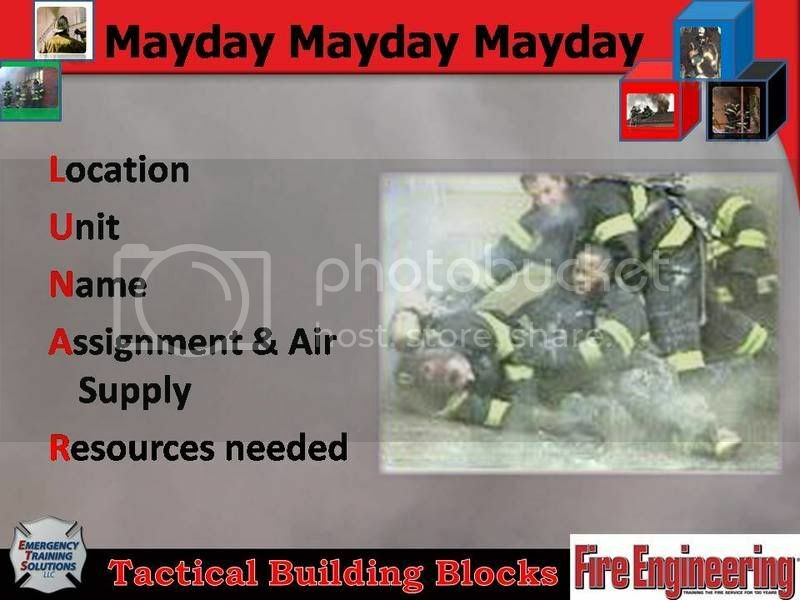 Leadership, Structural Fires, Tactics, Staffing, RIT, Mayday, Truck and Rescue Operations, Live Fire Training, Politics and Injury Rehabilitation. "There are no experts we should all be life long students"
Frank Ricci is a Contributing Editor and Advisory Board Member for Fire Engineering. He is a Battalion Chief and the Drillmaster for the New Haven Fire Department and Co-host the radio show Politics & Tactics. BC. Ricci is a contributing author to the Firefighters Handbook I & II (PennWell 2008) for the Safety and Survival chapter, written with Anthony Avillo and John Woron. 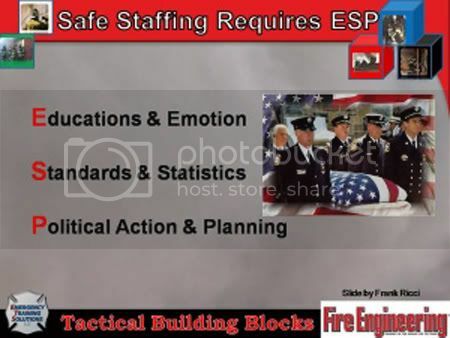 He was the Project Manager for Emergency Training Solutions for the Firefighters Handbook I & II Power Point presentations. He is a FDIC hot instructor and lecturer and has won a landmark case before the US Supreme Court. Frank has testified before Congress and has been a lead consultant for Yale on several studies. Frank has worked on a heavy rescue unit covering Bethesda and Chevy Chase MD and was a “student live in” at station 31 in Rockville MD. ">> Please help the New Haven 20 get to the United States Supreme Court. "Demands and Solutions Continue to Increase for Instructors and New Firefighters"
Deputy Chief (FDNY) Paul Mannix Suspended for 50 days. Hitler Takes A Position on the Latest Tactical Debate "Really This is Your Advocate For Change"
"Really This is Your Advocate For Change"
Pulling Ceilings: Search, How to Take a Break and Never Giving Up Your Tool! 1. Taking an extra second is key, take time to perform a hasty search before pulling the ceiling. Covering a victim can jeopardize the entire operation. 2. Always pace yourself, have a line with you and keep your back towards the exit. Did see the Fisher case. Thanks for that. It is interesting and now I see another issue dealing with Michael Briscoe. Busy times. Thanks for the additional info on the bailout clip Frank! - I couldn't agree more with your statement. 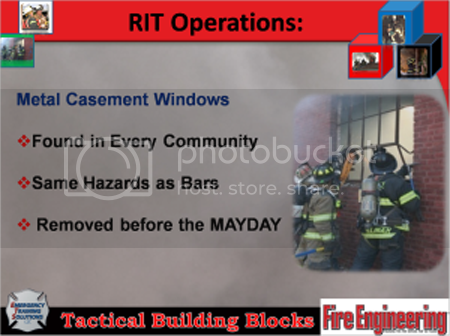 We do quite a bit with escape systems in the FF Rescue/Survival and RIT courses we teach and too many FFs don't fully appreciate the need for repetition - but that can be said for everything we do in the Fire Service! Beyond promoting prevention, I think we sometimes fail to reinforce the importance of understanding not only the strengths, but also the limitations of the equipment we carry and tactics we perform. Even those who obtain "expert" knowledge have no guarantees – If there were, FF LODDs would be a thing of the past. Keep up the great work you’re doing and thanks again for the correspondence! 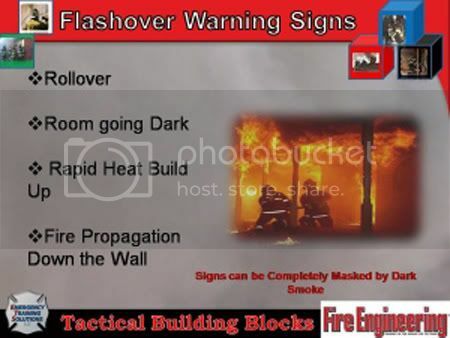 -Not fighting fires in vacant buildings is in fact not doing your job; its a culture of fear and cowardice being forced on unwitting and frightened firefighters. -More to the point this mindset ignores the fact that someone may in fact be inside the vacant building; homeless, children playing... even the guy who started the fire, regardless of his intentions still deserves the FD attempting to find him and extinguish the blaze. The fact is that short of a lightning strike or mice playing with matches, vacant buildings do not set themselves on fire! That means someone got inside and set the fire; malicious or accidental is irrelevant, that person may still be inside!! 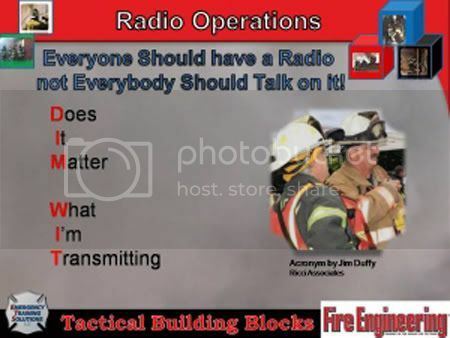 -Anything less is subscribing to a culture of fear that is being sold to the fire dept under the guise of firefighter safety; this is unadulterated, uncensored, pure and simple BS . As Tom Brennen put it, this culture of fear is brought to you by the same people who created purple vests to identify the guy handing out vests. -Fulfilling the office of firefighter is often times a risky endeavor. Firefighting is about calculated risks not foolish chances but risks all the same. If it's too scary find another line of work. Lt, those tactical perspective videos are great! thanks for the add...I enjoy your blog too...keep up the good work bro! Check out my video blog when you get some time and let me know what ya think! Thanks! Thanks for the keynote speech at FDIC. Though I was not present, I viewed it on a link via FaceBook. I intend to use your advice to improve my performance as well as my crew's. Keep up the great work! Inspiring speech in Indy, Brother. We're proud of you guys! !